Tax Reform Vote: Any Last Holdouts? The Republican party’s self-imposed Christmas deadline for the widely debated tax bill is fast approaching. Last week, Republican lawmakers announced they had the votes necessary to pass the converged Tax Cuts and Jobs Act bill. As the process moves forward, details are changing quickly, and, now, a couple of steadfast voters may not cast their ballots. The lineup of confirmed voters has changed since the voting of the Senate tax bill. Sen. John McCain (R-Ariz.), who was a key supporter, will be absent during tomorrow’s vote as he continues his fight with cancer. He flew back to Arizona after being recently hospitalized in the Washington area for chemo-related side effects. Sen. Thad Chochran (R-Miss.) is also reportedly ill, but is expected to vote. Republicans gained a last-minute turnaround with Sen. Bob Corker (R-Tenn.), who initially voted against the Senate bill, but has now flipped to yes. The absence of Sen. McCain and Sen. Chochran, however, does not point to an upcoming loss, as the Republican party won over key holdouts on Friday. Sen. Susan Collins (R-Maine), who was previously on the fence, has confirmed her support. In addition, Sen. Mike Lee (R-Utah) and Sen. Jeff Flake (R-Ariz.) have not declared their votes (at press time), but shared their approval over the child tax credit and a gradual phase-out of the five-year expensing provision, both of which made it into the final version of the bill. This will not affect current homeowners, but those who purchase once the bill has been passed. Those who purchase in costly cities may not benefit from the lowered limit. It may also keep homeowners from listing and trading up to a more expensive home if they will not reap the rewards of the tax deduction. Homeowners in high-tax states may see a tax increase, as they will no longer be able to fully deduct state and local property taxes, in addition to income or sales tax. Some of the provisions also come with expiration dates, according to the Wall Street Journal. Individual tax cuts and a 20 percent business deduction expire in 2025. Additionally, the $2,000 child tax credit and $10,000 limit on the state and local deduction may lose value over time due to inflation, the WSJ reports. Key influencers in the real estate industry continue to speak out against the bill. The National Association of REALTORS® (NAR) released a statement last week saying they will continue to fight for homeowners. Meanwhile, realtor.com® released data that showcases how these tax changes could affect homeowners. According to the analysis, increasing the standard deduction and capping the mortgage interest deduction at $750,000 would render tax benefits irrelevant for many. Realtor.com also analyzed the impact at the state and metro level, finding that the mortgage interest deduction cap will only impact an estimated 1.3 percent of mortgages. With California high on the list of most impacted states and metros, the California Association of REALTORS® (C.A.R.) has been very vocal about its stance on the proposed tax reform. The American Land Title Association (ALTA), however, believes the capital gains provisions will have a positive impact on real estate and homeownership. 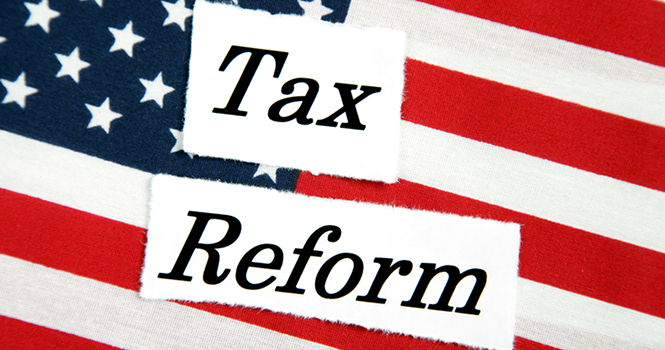 “ALTA commends the work of the House and Senate conferees as they finalize the landmark tax reform plan and applauds the preservation of key housing tax provisions including the capital gains treatment on sale of a primary residence…,” said Michelle Korsmo, CEO of ALTA, in a statement. The House is set to vote on Tuesday, with the Senate following suit either later that day or on Wednesday. Republicans have two votes to spare before Vice President Mike Pence intercedes to break the tie in favor of tax reform.